Medical care and other expenses following a car accident have skyrocketed. Unfortunately too many people find out the hard way that they don't have sufficient insurance coverage. Use these tips to start a review of your policy protections. A personal umbrella insurance policy offers an extra layer of liability protection for your assets if there's a serious auto accident or accident on your property. Otherwise, you could be liable for more than your current auto or homeowners coverage limits. Personal liability insurance helps protect your wages, house, investments, cars and boats from being at risk if a serious accident occurs. Talk to an agent to find out what the best level of coverage is for your situation. Before the odds catch up to you, you should know if you are covered and how best to choose a policy that will protect you when it matters most. According to a 2014 study by the Insurance Information Institute, an estimated one in eight drivers was uninsured nationwide in 2012. Paying your insurance premiums annually or semi-annually can save you up to 20 percent on your car insurance, versus paying monthly. The average liability claim for property damage in a car crash was $3,231 in 2013. The average claim for bodily injuries was $15,443. An illustrated guide to all of the possible ways you can protect yourself while choosing auto insurance coverage. View video. 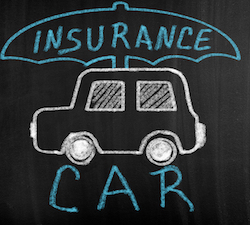 Uninsured or underinsured motorist coverage can safeguard you from skyrocketing bills. Watch this video for a better understanding of this coverage. View video. Adding a teen driver to your policy can increase your premiums on average by 90 percent. Here are some ways to save without compromising your teen’s coverage. View video. Millions of people in America fall victim to foodborne illnesses every year that could have been prevented as outlined in this revealing new report from the American Association for Justice. An NPR investigation uncovered “price optimization,” a research tool used by insurance companies to increase rates for long-time customers.